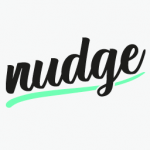 I'll start off my blogging at Nudge with a confession. A dirty secret that makes me want to peel my skin off and give my filthy bones a good scrub. Yes, 'tis true. And well it has served me for some years now. Like many people, I approached the smartphone market and wanted something robust, secure, and that integrated well with email. I didn't like the gratuitous Apple Fanboi thing, so wouldn't look there; and at the time Android was a mere nipper and the Play Store was less than a Twinkle in a Googler's eye. I found a Blackberry that suited my needs and sat within my budget, and I have used the same device since then. At the time, RIM's various products were coveted by small businesses, enterprise and government alike. Even Obama is reported to have clung on to his favorite-device-named-after-a-fruit when he became President. (He still won't, apparently: -ed.). As my venerable Blackberry device nears the end of it's lifetime (looking now as worn and tatty as an old slipper: a forlorn and battered object covet-able only by an equally-venerable Spaniel/similarly-slobbery dog), I must say that the smartphone market looks quite different now. Differences that have some quite appealing prospects for both consumers and the workforce. Firstly - specs. It is hard to imagine that there are now smartphones that are more powerful than pc's were when I invested in my BB. The recently announced Nexus 5 has a Snapdragon processor with more cores/beef than a laptop I bought with an AMD chip at a similar time as my old Blackberry - and with 2gb or ram it competes there, as well. More enticing, perhaps, are the hints of the future that recent developments point us to. Canonical's recent (failed, perhaps - depending on whether you think it was a just a crowdfunding exercise or an excellent attention-grab attempt at producing a Linux-based phone that could interface with large screens and mice/keyboards suggests a future of Star-Trek / Tony Stark handheld functionality that may be very close. Likewise, the fact that the latest iPhone is 64-bit means potentially snappier apps and better handheld graphics - key for both fluid business work like document processing and home consumption like gaming. On that, why not ask James? But for now - I've made my decision - I know what I'll replace my knacker-berry with.... when it finally dies, that is!